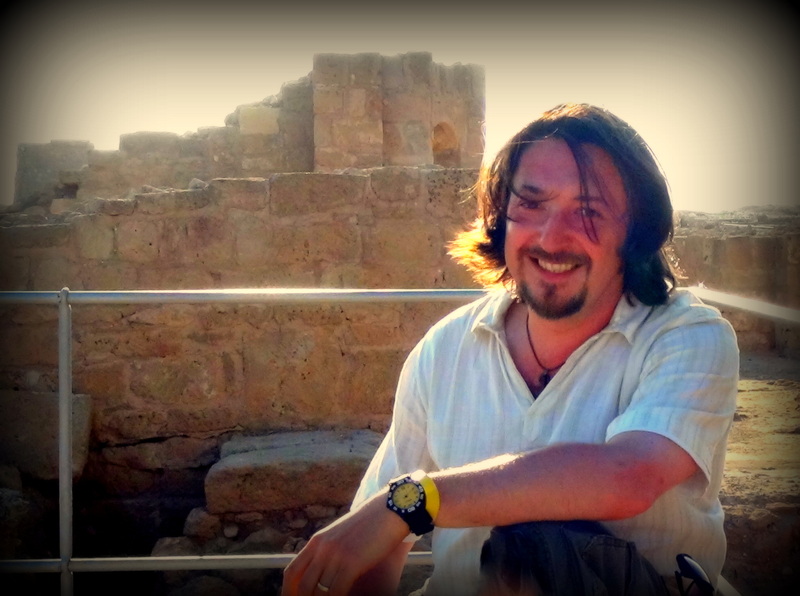 Amongst the vast amount of ancient and early Christian writings from the 1st – 4th centuries, we find large amounts of forgotten books and somewhat un-researched material, all of which give us glues and further insights into the ancient mind and the times in which Jesus and the apostles lived. Our understanding of the era in which the New Testament was written is growing by the day and our knowledge of the historical reality of the New Testament is unearthed continually. Some of this knowledge and insight is hugely controversial and what is discovered is so often contrary to what is commonly called knowledge. The historical theologian likes to see things, to touch the historical artefact, the ancient coin, the fragment of pottery, the ancient nail, the writing upon the ancient temple wall. We want every bit of information we can find. We seek to discover every last word written on every ancient fragment of papyrus and every ancient tablet of stone and document. One document which has interested me recently is my observation within two ancient texts dating around the 2nd century AD and their referrences to the burial cloth of Christ. One of these documents is from a text known as “The gospel according to the Hebrews“. The passage which contains a Shroud referrence reads concerning a Gospel which Origen used and records an event concerning Jesus who after His resurrection took His burial cloth to the servant of the [High] Priest, who is named in John 18: 10-11 as Malchus and referred to in Matthew 26: 51, Mark 14: 47, Luke 22: 51 as the man to whom Jesus healed his ear, after it had been cut off by Peter in Gethsemane. According to the Gospel of the Hebrews, Jesus gave Malchus the Shroud after Jesus’ resurrection. Could this text be a referrence to the Shroud of Turin? The second historical text is from what is called “The Hymn of the pearl”. This text is said to have been written by the apostle Thomas himself and is somewhat mysterious and less direct, maybe even poetical, but nevertheless, a referrence. This work is referred to in the third century Acts of Thomas and the work itself is generally agreed to date to the 2nd century AD. The question is, are these texts historical and very early referrences to the Shroud of Turin? "Bart D Ehrman", "Early Christian writings", "Evidence for the resurrection", "Lost scriptures", "Malchus", "The Burial Cloth of Jesus", "The Gospel according to the Hebrews", "The Gospel of John", "The High Priest", "The Hymn of the pearl", "The Shroud of Turin", "The Shroud of Turin" "The burial cloth of Jesus"
Whatever one might think concerning the Shroud of Turin, few can deny that it is one of the most fascinating and controversial relics in Christianity. Its origin and authenticity has been a topic of debate for centuries. We even find John Calvin debating the Shroud of Turin in the 16th century. 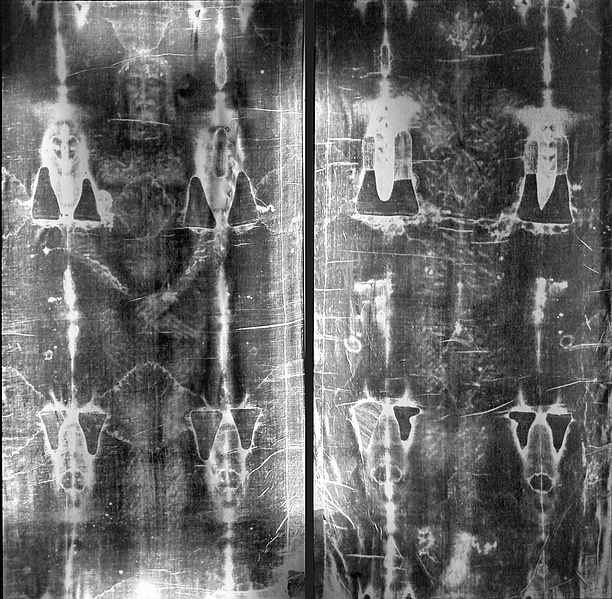 Today however, it is a very common to dismiss the Shroud of Turin as a proven fake, since many say that Carbon Dating has proven the Shroud cannot be the burial cloth of Christ? The problem is however, that the Carbon dating is simply not consistent with what we know about the Shroud. The carbon dating simply contradicts the overwhelming evidence found upon the Shroud which dates the cloth to 1st century Israel. Thus, there is a vast amount of evidence found upon the Shroud that more than suggest that the cloth is from 1st century Jerusalem. The evidence itself all of which has been found upon the Shroud absolutely contradicts the carbon dating and thus puts the dating results seriously in question and when the fact becomes known that the area from which the sample of the Shroud was taken and used for the carbon dating process had been handled consistently since the 16th century, then the accuracy of the carbon dating results becomes even more seriously in question. The problem is that there are many finds upon the Shroud of Turin which clearly date or link the burial cloth to 1st century Israel and Jerusalem combined. These finds include Pollen and dirt from Jerusalem, Roman Flagrum and Crucifixion wounds upon the body, burial consistency with Jewish custom, fibers, blood, 1st century stitching etc which experts have all found upon the Shroud of Turin. While these finds and are commonly known, what is less commonly known about the Shroud of Turin is that recent finds have shown that the man on the Shroud has coins upon his eyes. Researchers Dr Robert Bucklin and Professor Alan Whanger, have pointed out that there are round coin like objects placed over the corner of the eyes of the man on the Shroud. The coin upon the left eye is clearly visible and when the image of the Shroud is enlarged, the image reveals that one of the coins is in fact what is known as a Pontius Pilate Lepton. These coins are only small and are almost 2000 years old and the coin seen on the left eye of the man were minted in Jerusalem in AD 30 by Pontius Pilate. These coins also confirm Pilate as Prefect, and this complies with the Biblical account that Jesus was condemned under Pontius Pilate. It is also worth noting that it is said that it was a Jewish custom to place small coins over the eyes of a dead body to keep the eyelids closed. Thus, the Pontius Pilate coin found upon the eyes of the man on the Shroud is an astounding find and one that cannot be ignored and not only does the Pontius Pilate coin directly link the Shroud of Turin to 1st century Jerusalem, but the coins reveal that the image was formed when the man on the Shroud was lying down. Otherwise the coins could not remain upon the dead man. The coins found on the Shroud are consistent with the coins produced by Pilate in AD 30. Whatever the conlusions are to this find, it cannot be rightly denied that the Shroud of Turin contains images of Poltius Pilate coins over the left eye of the man on the Shroud and no one can deny that few, had knowledge of these coins until more recent days. The fact remains that these coins change a great deal of what we know about the Shroud of Turin and the question remains, is this the face of Jesus? Is the Shroud evidence for the resurrection of Jesus? 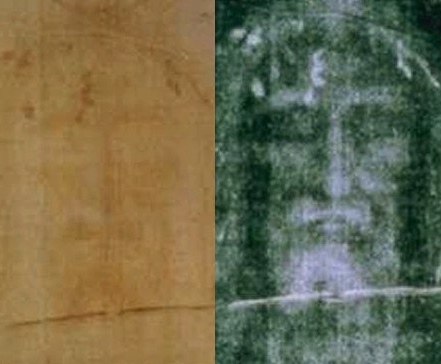 Could the Shroud of Turin truly be the burial cloth of Jesus? "Evidence of the resurrection of Christ", "Evidence of the resurrection", "Israel", "Lepton", "Pontis Pilate Coin", "Pontius Pilate coins found on the Shroud", "Pontius Pilate", "Relics", "The Burial Cloth of Jesus", "The Shroud of Turin", "Turin", "Widow Mite"